II. We may hence infer, that no degree of speculative knowledge of things of religion is any certain sign of saving grace. The devil, before his fall, was among those bright and glorious angels of heaven, which are represented as morning-stars and flames of fire that excel in strength and wisdom. And though he be now become sinful, yet his sin has not abolished the faculties of the angelic nature. As when man fell, he did not lose the faculties of the human nature. — Sin destroys spiritual principles, but not the natural faculties. It is true, sin, when in full dominion, entirely prevents the exercise of the natural faculties in holy and spiritual understanding, and lays many impediments in the way of their proper exercise in other respects. It lays the natural faculty of reason under great disadvantages by many and strong prejudices, and in fallen men the faculties of the soul are, doubtless, greatly impeded in their exercise, through that great weakness and disorder of the corporeal organ to which it is strictly united, and which is the consequence of sin. — But there seems to be nothing in the nature of sin, or moral corruption, that has any tendency to destroy the natural capacity, or even to diminish it, properly speaking. 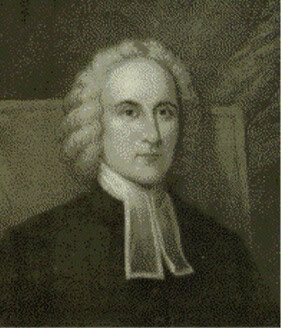 If sin were of such a nature as necessarily to have that tendency and effect, then it might be expected that wicked men, in a future state, where they are given up entirely to the unrestrained exercise of their corruptions and lusts, and sin is in all respects brought to its greatest perfection in them, would have the capacity of their souls greatly diminished. This we have no reason to suppose, but rather on the contrary, that their capacities are greatly enlarged and that their actual knowledge is vastly increased. And that even with respect to the Divine Being, and the things of religion, and the great concerns of the immortal souls of men, the eyes of wicked men are opened, when they go into another world.